So what are you wearing with your pleated skirts, high waist trousers and those distressed denims sitting at the back of your cupboard? The obvious choice- the classic white shirt, we’re hinting at a well structured chambray shirt instead. Chambray hands-down is the fabric you can rough it out in just like your fav pair of denims, it’s light and has a fresh, breezy feel to it! The best part is the fact that with every wash it feels softer to the touch. What makes this piece a must have is it’s versatility. Whether you want to dress up or down, the chambray shirt is your go to piece! If you’re not quite sure about how to style your chambray shirt, fret not! We’ve put together a couple of style ideas for you. Add a hint of femininity to your chambray shirt by pairing it with a pleated skirt. Put on a pair of stilettos and a dainty bracelet that compliments the outfit. Chambray shirts look brilliant with solid colored pants. To keep the outfit from going drab, roll up your sleeves and throw on a couple of bracelets and a chunky timepiece. Printed pants are the trickiest little devils in our wardrobes. But worry not! Just pair a classic chambray shirt with printed pants. With this you're sure to rock the look. 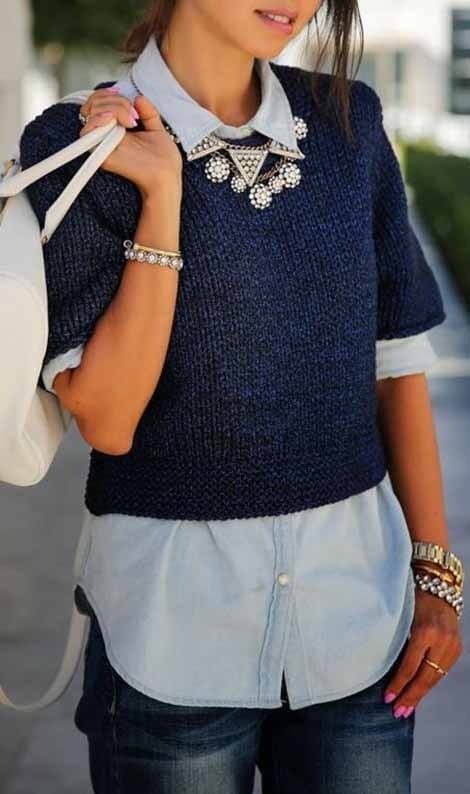 Instead of pairing your dress with the oh-so-boring cardigan or shrug, opt for the chambray shirt on a cold day. What’s better if it gets hotter, just roll up the sleeves. To complete your outfit accent it with a belt around the waist. Don’t shy away from the denim-on-denim trend just yet! 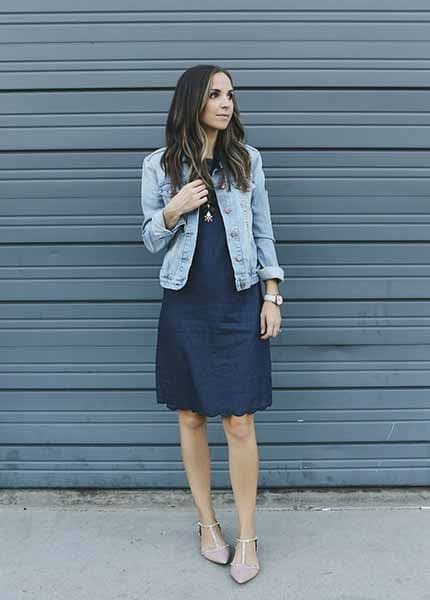 Our fav way to rock this trend is to pair a dark wash denim with a light chambray shirt, or vice versa. Though both pieces in the same wash work well together too! Have a meeting to go to and don’t know what to wear. Just throw on a pencil skirt with a button down chambray shirt. It’s chic and not-too-casual so it works as a great day to night transition piece. Keep it simple silly! Pair an ultra glam mini skirt with a simple chambray shirt to keep the focus just where you need it. Throw on a statement neck piece and carry a clutch to get the party vibe going. Just coz it’s cold why leave behind the chambray shirt, For days when there’s a chill in the air, just throw on a cardigan over your chambray shirt, pull the cuffs and collars over the cardigan and BAM! You’re good to go. We’re sure you own or are planning on getting a chambray shirt with a collar. It has a nice classy minus the too prim-and-proper feel to it. Get the casual Friday feel by pairing it with a pair of shorts in fun peppy colors.